The Bangor Region Chamber of Commerce was established in 1911. It is currently one of the largest Chamber's in the State offering a range of programs to its members and the public. Our program of work includes business development, as well as advocacy efforts and community betterment programs. We provide direct programs to our members including trade shows, seminars, networking opportunities and leadership development. Our healthy worksite initiative has been extremely successful - in the spring of 2006 we were recognized as this nation's first "Well Region." 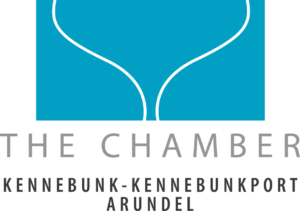 The Chamber plays a very active and important role in enhancing the local area, helping businesses grow and thrive and fostering a greater sense of community. Our diverse membership ranges from large corporations to sole proprietors, from manufacturers to specialty shops and everything in between. Just as the Chamber is important to our community, our members are important to the Chamber. Your investment in the Chamber is an investment and commitment in the community. The Ogunquit Chamber of Commerce brings together the special talents, skills and resources of the business community for the developing economic opportunities, strong business climate and enhanced quality of life for its citizenry. The Portland Community Chamber of Commerce (PCC) actively advocates for improvements within the City of Portland. Near the end of 2012, we released our third Portland Economic Scorecard, which is an annual assessment of economic health in Portland and our entire region. This scorecard helps us to develop and build a strong foundation and address problems which may be road blocks to economic vitality. In 2011, the PCC worked closely with the city and other organizations to create Portland's first official economic development plan. This important document has become the touchstone for the mayor and the city council as it considers its efforts in this area. The Portland Community Chamber of Commerce also works to make sure that this plan receives the active support of the community. The mission of the Wells Chamber of Commerce is to promote the growth and general prosperity for the businesses of the Town of Wells, Maine, and vicinity by: 1. Creating a better understanding and appreciation of the importance of the businessperson and consumer and a concern for their problems; 2. Promoting business and community growth and development by promoting economic programs designed to strengthen and expand the income potential of all classifications of business within the area; 3. Promoting programs of a civic, social, political and cultural nature, which are designed to increase the functional and aesthetic values of the community.